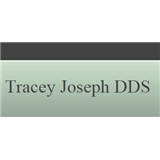 Tracey Joseph DDS (Brooklyn) - Book Appointment Online! Tracey is wonderful! Gave me a great cleaning and great dental advice. I enjoy coming to her office. She and her staff are very pleasant and easy going. I am really a fan!